WHILE THE 1930s style Spiegeltent in Eyre Square is the central hub of the Vodafone Comedy Carnival, and a festival institution, it will be joined this year by a newer, smaller, more intimate sibling – The Yurt. A yurt is a circular tent of felt or skins on a collapsible wooden framework, used by nomads in Mongolia, Siberia, and Turkey. It will now be used by nomadic comedians travelling through Galway. The Spiegeltent and yurt are part of the festival's Comedy Village, which will operate in Eyre Square throughout the carnival, featuring pop-up venues, food concessions, coffee stalls, information and ticket sales, and a full bar. The 100-capacity yurt will be open from Friday October 26 to Sunday 28, kicking off at 3pm each day with Yurty Talks with Republic of Telly’s Kevin McGahern. He will interview special guests to discuss life on the road, comedic inspiration, writing, philosophy, and humour. Reginald D Hunter (Friday 26 ), Phill Jupitus (Saturday 27 ), and Milton Jones (Sunday 28 ) are already confirmed as interviewees. Friday 26 and Saturday 27. The Yurt hosts a selection of one person, hour long, shows. On Friday 26 at 5pm there will be stand-up from the stars of Fr Ted featuring Joe Rooney (Fr Damo ) and Pat McDonnell (Eoin McLove ). Admission is €10. At 6.30pm, Emman Idama presents his new show, Finds Himself In Ireland. Emman is originally from Nigeria and in this show he will let us in on how he came to ‘Find Himself in Ireland’. Admission is €5. 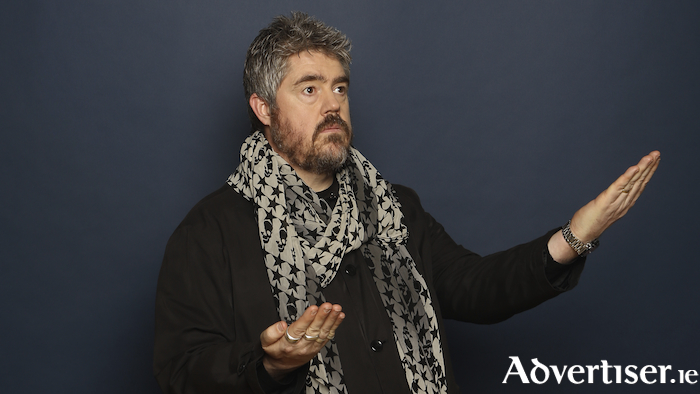 At 8pm, Phill Jupitus will appear in his alter-ego of Porky The Poet. Admission is €10. Saturday's events begin with Danny O'Brien: Lock In at 5pm, where the rising star of Irish comedy discusses the three times he has performed in prison as well as that one time he found himself there by accident. Admission is €10. At 6.30pm Breda Larkin presents The Word Of Breda, a hilarious and thought-provoking exploration of her life through the lenses of sexuality, religion, and facial hair. Admission is €5. At 8pm, Damian Clark presents To The Max, which won the Amused Moose People's Champion Award 2018 in Edinburgh. Admission is €10. On Sunday 28 at 7.30pm, there is the Comedy Roast Battle with Jim Elliott, where a cast of competing comedians go head-to-head in one-on-one insults, leaving no feelings spared. It will be intense…tears will be shed. Admission is €10.